Malcolm Muggeridge is quoted as saying, “Never forget that only dead fish swim with the stream.” I am not sure if this is always true but there is some encouragement in Mr. Muggeridge’s statement. 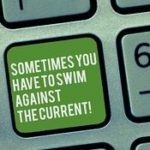 All of us need to swim against the current from time to time to really succeed in our business. Fear is typically the main reason that most business owners are afraid of going against the current. Business decisions like all decisions have consequences. The “what if” creeps into the decision process and the result is “what if I am wrong….” causes us to stay the course. Taking a chance and going against the prevailing thinking requires courage. I would suggest that successful businesses are created and led by courageous leaders who are not afraid to take different path. For example, when someone comes to me and they want to start a business in a field that is well established, say plumbing. My first question is how will your plumbing business be different than every other plumbing business in the area? How will you stand out so potential customers will call you and not the guy down the street? Most of the time they say something like, “we will offer superior service for a fair price.” My response is that that alone is not enough; you must offer something innovative, don’t be afraid to be different than your competitor. An example of being different and standing out is a plumber I recently used at a home we have in the country. The plumbing industry like the car repair industry has gravitated toward using a fixed or book price for every repair. A flat price out of the book makes it easier to communicate with the customer what the repair is going to cost. Also, the plumber fixes his/her cost and knows that they should make a profit on each job. My country plumber decided to be different and he charged by the hour. (the old way) The job we had was to change out a toilet. I had been warned by my son, who lived in the area that it would cost $300. 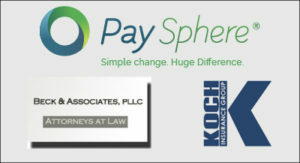 – $400. or more. We were charged $268.00 and that included the cost of the toilet. More importantly the plumber and his helper finished the job in 30 minutes and he asked if he could do any other work as we had not used the full hour! When was the last time that happened to you? Needless to say, I am now a friend and advocate of this plumber; wish I had more plumbing work as it feels so good to get treated fairly. There are many ways to innovate, even in well-established industries such as pluming. For example, technology provides so many opportunities to improve service offerings as well as develop and deliver new products. 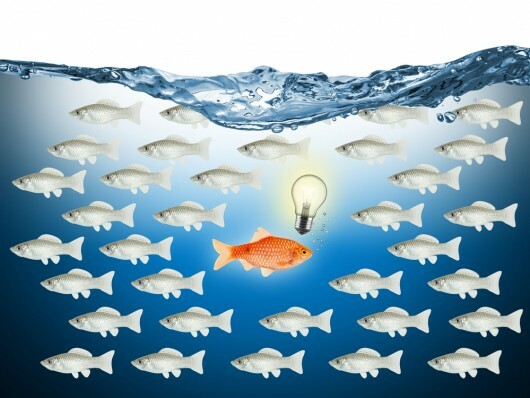 As a business owner, don’t be afraid to swim against the current and make your business stand out and more successful.